PROSSER, Wash. – Washington wine grape vineyards experimenting with sustainable pest management systems are seeing an unexpected benefit: an increase in butterflies. Over the years, loss in natural habitat has seen the decline in numbers of around 50 species of butterflies in eastern Washington. But in a recent Washington State University study published in the June issue of the Journal of Insect Conservation, researchers found that vineyards that create nearby natural habitats have three times the number of butterfly species and four times more butterflies than conventional vineyards. WSU researchers recorded 29 separate species in “habitat-enhanced” vineyards, compared to nine species in conventional vineyards. In terms of raw numbers, they counted on average 20 butterflies in habitat-enhanced vineyards compared to five in conventional areas. David James, an associate professor in WSU’s Department of Entomology, wrote the paper with colleagues. He said butterfly increase was not the goal of the return of natural habitats. Instead, growers want to reduce pesticide usage. 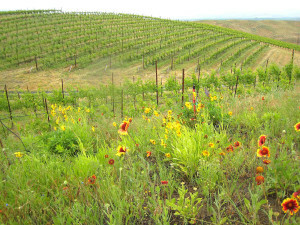 Native plants grown alongside a Walla Walla vineyard attract and sustain butterflies as well as natural enemies of pests. To help control pests, they plant native sage-steppe shrubbery in and around their vineyards. These native plants, such as desert buckwheat shrubs, attract “good” insects like parasitic wasps, James said. Wasps feed on mealybugs and other “bad” insects that can be harmful to the vineyards. But as a side benefit, these vineyards are seeing the return of other inhabitants that had declined when natural habitat was removed. This method of conservation may be exclusive to Washington, since vineyards in this state already face fewer pests and use fewer chemicals than vineyards in states like California. “We’re fortunate here to have the perfect place to be able to have this sustainable option,” James said. 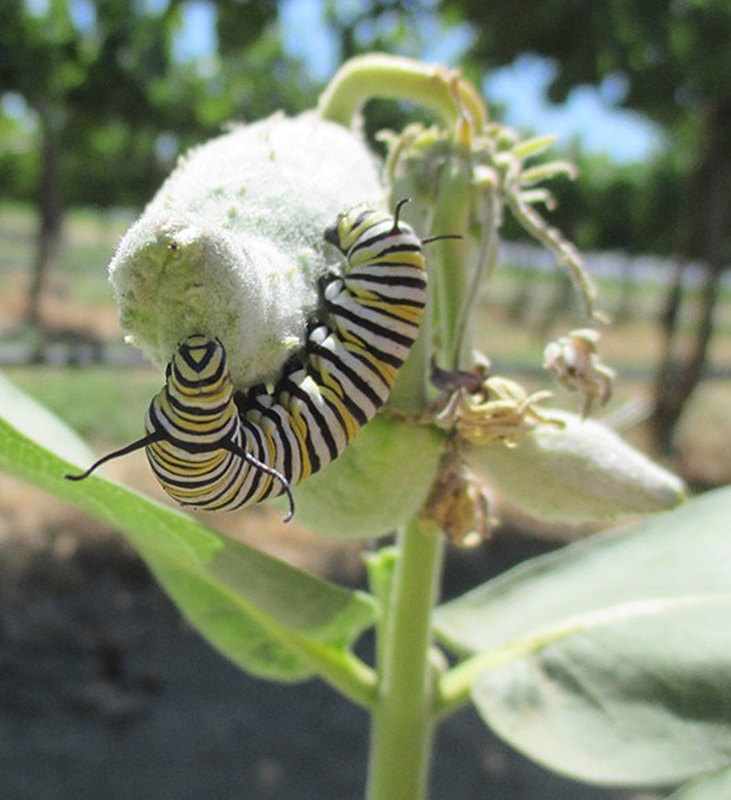 A caterpillar of a monarch butterfly feeds on milkweed in a WSU Prosser vineyard in June 2014. The increase in butterfly numbers isn’t directly beneficial to vineyards. Butterflies don’t eat any pests or have any direct economic benefit. 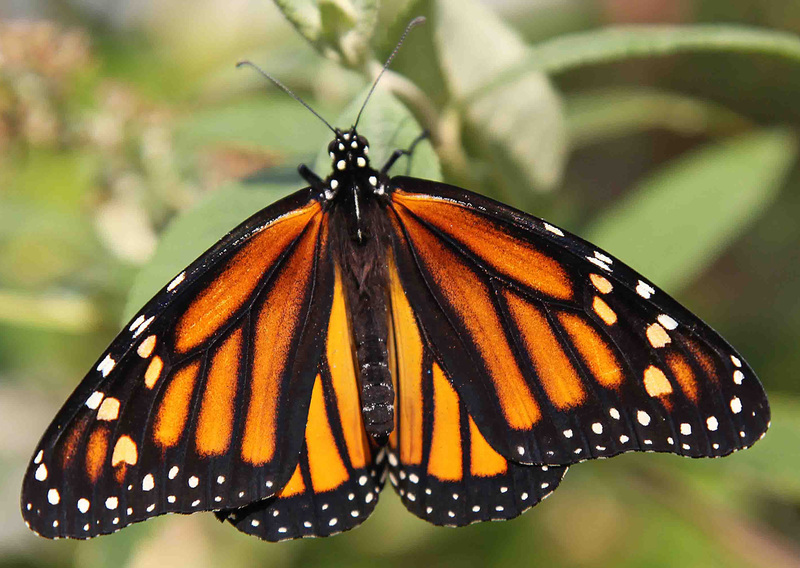 But they naturally live on the returned native plants, both as caterpillars and as adult butterflies. They also have immense aesthetic appeal to people, are important pollinators and are an important part of healthy ecosystems. James said the viticulture industry is unusual in agriculture because many vineyards and wineries invite people onto the property to enjoy the product. James has been working on pest management in grapes and other crops for several decades. But his interest in entomology started with butterflies. He’s written a few books on butterflies, including “Life Histories of Cascadia Butterflies” (http://osupress.oregonstate.edu/book/life-histories-of-cascadia-butterflies) about species that live in Washington. But he’s rarely been able to study them professionally because they don’t have a large economic impact. Funding for the work came from Western Sustainable Agriculture Research and Education, the Northwest Center for Small Fruits Research, and the Washington Association of Wine Grape Growers.